AMENTITIES: Cable TV's , crown molding, recessed lights with dimmers, pool glassware and dinner ware, Keurig coffee maker, washer/dryer on site, large wrap around lani with incredible views of the ocean and beach, lanai dining table and four chairs, two lanai lounge chairs, computer desk and plug/charger station, extra large lanai windows and slider for viewing lanai and ocean, dedicated parking space. This is a pet free, non smoking unit. Kona Magic Sands 201 guests receive a 10% discount when dining at the on site Magic Grille. 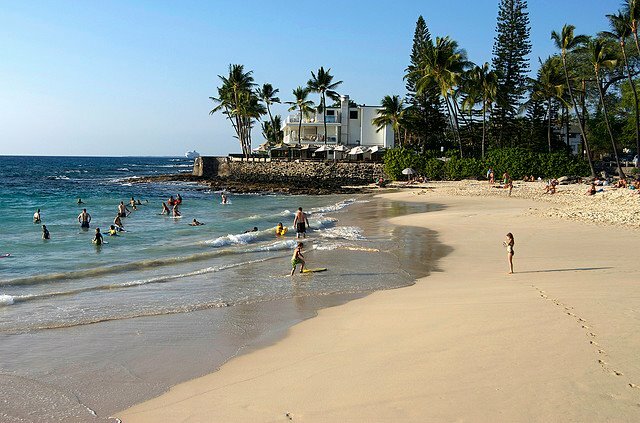 ACTIVITIES: Strolling down Alii drive, shopping, restaurants, boating, parasailing, golf, beaches, volcano trips, surfing, deep sea fishings, cinemas, kayaking, sailing, helicopter rides or lounging by the pool showing off your "do nothing" skills. OTHER FEES Hawaii State Tax of 14.42% and cleaning fee of 105.00 US will be added to all reversations.